In the eighth inning Tuesday night, second baseman Scott Sizemore made a diving stop that kept Tampa Bay from increasing its lead to two runs. The play became huge when Alex Avila homered in the bottom of the inning to put the Tigers ahead. 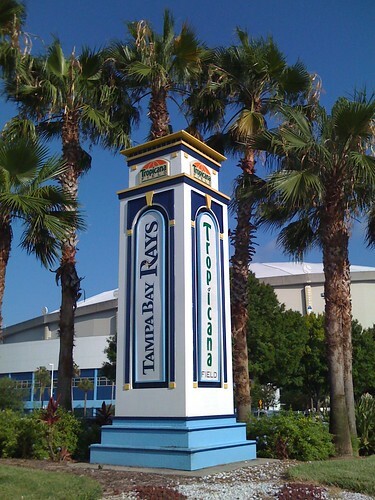 Tampa Bay hit the ball well, had some solid pitching and set a major league record for defense. It was all for naught. Alex Avila’s second homer of the game gave the Detroit Tigers the lead in the eighth inning and they held on for a 7-6 victory over the Rays on Tuesday night. “We played a very good game across the board, we just didn’t win,” Tampa Bay manager Joe Maddon said. This entry was posted on May 28, 2011 at 4:04 pm and is filed under Tampa Bay Rays. You can follow any responses to this entry through the RSS 2.0 feed.